I'm a writer. Well, I try. First, I am a slow reader. I try to speed read. But I can't. My slow reading, though, is actually not a problem to me. I like to savor as I read. I imagine what is going on quite well. And taking my time through the story is always awesome. Second, I can't be interrupted whilst reading. Otherwise, I just can't concentrate. Some noise is okay. But with three children, "some noise" isn't usually what I get. Well, today I want to share with you my 10 favorite novels. I'm not sure what category of fiction this falls under other than "General Fiction." This was the first I read by him, which is a common bias. The bias being "The first book you read by (author who writes stand alone novels) is most likely going to be your favorite." 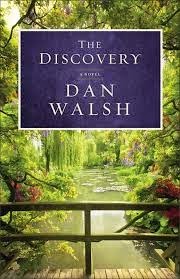 Part of it is, though, that the main character is an aspiring writer who is trying to make it on his own as the grandson of a well-known author. This story goes back and forth between present-day concerning Michael Warner and reading his grandfather Gerard Warner's journal. And even though it's not the world's greatest story, it's still got good themes in personal growth. Remember my statement earlier about the stand alone author bias? Yeah, this one does NOT work. 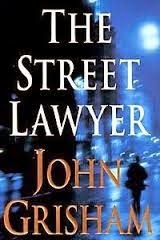 The Street Lawyer was the 4th Grisham novel I read. 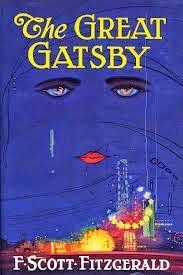 I think the reason I like this book so much is placed in someone ruining his dreams over the idea of what is moral. Michael Brock doesn't give up his place in his firm easily and is afraid of the men he's going against. But I always love seeing an underdog win. This isn't a creepy book. Not at all. (insert "Sarcasm" sign.) However, it was an excellent story at an alternate history. 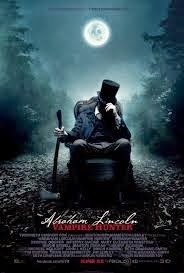 It gives a unique thought process on Lincoln's rise to becoming the president. It also shows the passion he had for protecting human life. I also really liked the theme of "some people are just too interesting to die." I know a lot of people who hate this book in the HP series. And then these same people love the 4th. First of all, the fourth has the biggest plothole centered on a key plot element (the portkeys). The 4th is a huge book that needed to lose about 200 pages to be worth reading again. 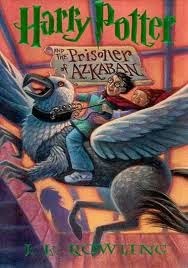 However, book 3 gives insight into Harry's dad, his friends, and the great lengths they go to protect Harry. Also, a lot of people point to #3 as to having nothing to do with 7-book plot. But there's one thing those people miss: #3 is the calm before the storm. You may notice that 40% of the books on this list are over 50 years old. An adaptation of the old adage would be "they don't write 'em like they used to." 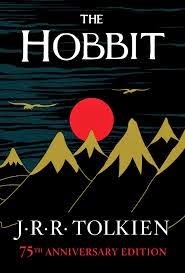 The Hobbit is one of those classics that I think everyone should read. It's a feel good story of not letting one's desire for complacent safety get in the way of extending one's possibilities. Dan Wells is freaking scary. Okay, not really. I've met him a few times in the last 4+ years, he's actually pretty awesome. But it's his style of telling a story that can be mentally disturbing, yet mentally challenging that makes this one of my favorite books. It's not just the plot, it's the style, the theme, the characterization. I think the lessons that John Cleaver learns about "being oneself" in this series (and this book) are pretty applicable everywhere as well. 3. A Christmas Carol by Charles Dickens: It is not coincidental that The Muppets Christmas carol is one of my top 3 favorite movies and that this book is one of my top 3 favorite books. 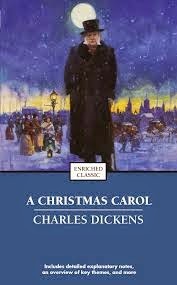 The classic story of a Victorian miser dealing with a set of ghosts as they try to teach him the true meaning to life. You thought I was gonna say Christmas, didn't you? Yeah, he did learn the true meaning of Christmas, fine. But really, it's not like he changed his life around one day a year. He changed his life around because he understood that money only led so far. 2. 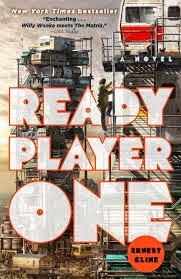 Ready Player One by Ernest Cline. This is the ultimate geekdom book for 80's babies. Also, it's written in an awesome dystopic future that gives a virtual reality more investment than the destroyed world people live in. As we follow Wade through a puzzling quest that impacts both the real and virtual world, he teaches us that we can learn to interact in virtual reality all we want, it just comes at a price of having real connections in the real world. 1. 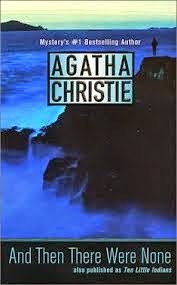 And Then There Were None.. by Agatha Christie. Kudos if you know this books original title. FYI, it's not Ten Little Indians. I don't mind calling it "And Then There Were None..." simply because of the finality of that statement. For me, this is a sheer classic and one of the best mysteries written of all time. 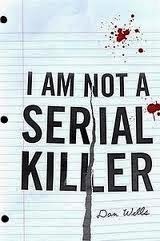 (No offense to people I know personally who've published mystery.) Agatha Christie places clues that people may or may not catch onto as to the killer's identity. The thing about this book is I've read it a few times, know who the killer is, and can still read it to find little Easter Eggs left by the author. The thing that makes this book most disturbing is you can translate it to today and still see the same result. Thanks for reading and stay-tuned for me flying solo on the podcast concerning Willy Wonka and the Seven Deadly Sins (or rather six, but still).